Backlinks are a still a key strategy for increasing your search engine rankings. However, building backlinks can be a little exhausting if you don’t know where to begin. Luckily, there are a few sites that can help with your ranking much better than others. Let’s take a look at some of the top websites to generate backlinks from. Yelp is the leading review source for service businesses. Although initially geared towards restaurants and food service businesses, Yelp can actually be a good resource for any other service business. We’ve seen our clients generate leads and increase rankings from having a business profile on Yelp. 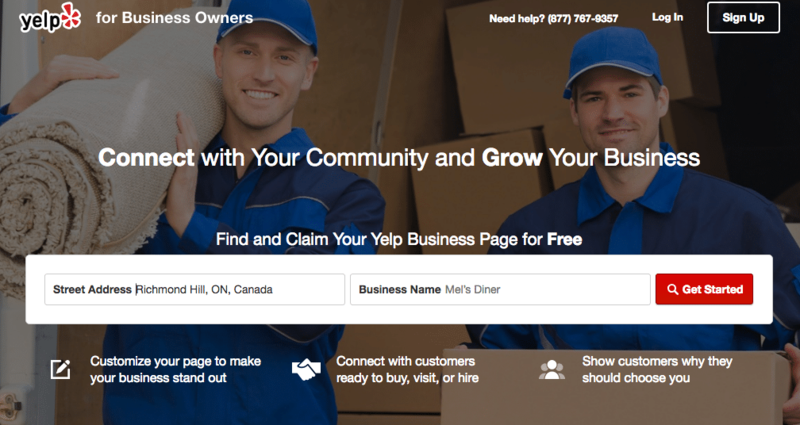 To setup a business profile on Yelp is free, but they do offer premium services as well. Ensure your profile is complete and that your citations are consistent across all listing websites. Visit biz.yelp.com to get started with your profile. Google My Business is an excellent tool to have your business listed on. By having a Google My Business profile for your service business, you can take advantage of Google Maps. You will also have a business profile card display when potential customers search for either your business or your services on Google. Customers can also read reviews, learn about your business hours & contact information or see photos from the business. Having your profile continuously updated also helps with your search rankings ( big win for SEO ). YellowPages has been one of the longest running directory services throughout Canada. Setting up a profile is super easy and can help you get listed in partner directories as well. A good starting point for any service business looking to increase their rankings on Google. YP.com also provides premium services to customize your profile even more. Check out YP.com to get started with your free YellowPages listing. Next to TrustedPros.ca, Homestars is the leading service directory in Canada. Having a profile on Homestars not only increases your rankings, but it can also be a great resource to generate leads. 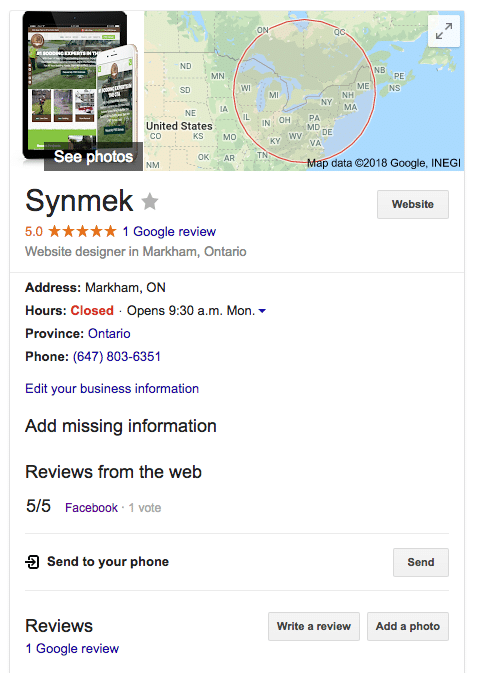 Your business is also able to take advantage of customer reviews, which link with your Google My Business profile. Homestars also allows you to continuously update your profile with project photos and offers. Setting up a profile is free, but in order to take advantage of the leads generated by Homestars, you will have to subscribe to their premium services. Finally, the last website on our shortlist is TrustedPros.ca. TrustedPros is specifically geared towards professional contractor services. If you’re in the home improvement sector, TrustedPros is a must. Profile setup is free, but they do also offer premium services through a subscription. However, in order to take advantage of their premium services, you will need a minimum of 3 customer reviews on your profile. Visit trustedpros.ca today to get your free profile setup. Search Engine Optimization is a continuous process and can’t be treated as a one time solution. Generating quality backlinks and providing useful, engaging content are the two strategies that can help with rankings in the long run. For short term results, consider a PPC ( Pay-Per-Click ) campaign on either Google Adwords or social media promotion. However, before you begin throwing $$$ towards an ad campaign, your landing pages must be optimized to get the highest return on investment.